Get your FREE Sample issue of Checkpoint Magazine today! 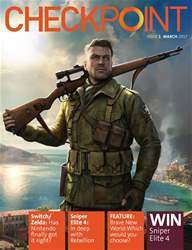 (0 Customer Reviews) | Write Review 12 issues per year Checkpoint is the only gaming magazine that will give you unparalleled access to the world of gaming. This interactive magazine brings together interviews, videos, reviews, news and the best content you’ll find anywhere on the web. Our team are veterans of the games industry with exceptional knowledge. With this fully interactive magazine, Checkpoint hopes to not only inform you, but educate and entertain you with exciting and fresh content. Congratulations, you’ve reached your first Checkpoint. 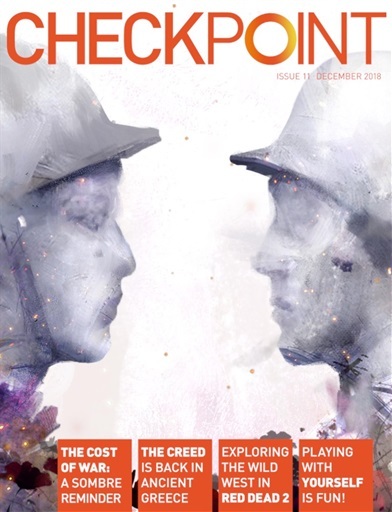 Welcome to Checkpoint, a new feature-led digital, interactive gaming magazine. The magazine is aimed at any gamer with an interest in gaming, the influences of gaming culture, the impact gaming has on society and, of course, will cover expected content such as reviews, interviews, previews and events. In this magazine you'll find video, audio and animation built in to give you more ways to interact with the content. 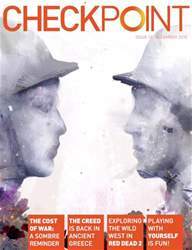 In this issue: We look at historical games and, with the WWI centenary just over, we thought we'd look at some of the games that have commemorated the memories of the fallen. We also look at the power of single player games. Checkpoint is the only gaming magazine that will give you unparalleled access to the world of gaming. This interactive magazine brings together interviews, videos, reviews, news and the best content you’ll find anywhere on the web. You'll receive 12 issues during a 1 year Checkpoint Magazine magazine subscription. You'll receive 12 issues during a 1 year Checkpoint Magazine magazine print subscription.